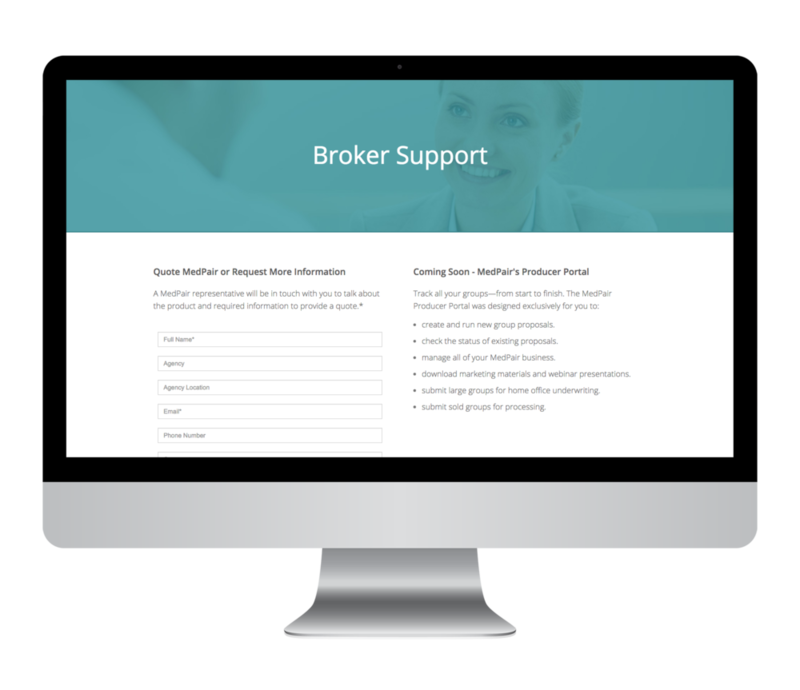 Create a single-product website that is primarily aimed at brokers—with the objective of requesting a quote or more information. Include information for providers and members in the event that they visit the site. Create responsive, mobile-friendly website with simple navigation to enable easy browsing. Created a site map that identified the pages needed. Gathered all product information—benefits, features, pricing, how it works, and so on. Placed all important content in a document, reorganized and assigned to different pages, and rewrote and organized content in a way that was easy to navigate and digest information. Selected a modern Google Font. Included stock photos relevant to the product, aligned with the company’s brand tone, and provided adequate space to place text appropriately. Final www.medpairplans.com provides a product overview; a landing page for each target audience—brokers (primary), providers, and members; and a contact page to drive brokers to request a quote.